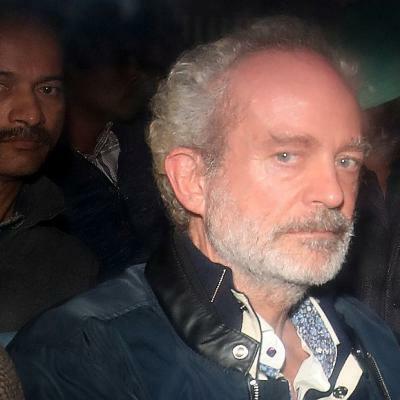 Enforcement Directorate on Saturday told Delhi’s Patiala House Court that the alleged middleman in the AgustaWestland case Christian Michel has named ‘Mrs Gandhi’, news agency ANI reported. But in what reference the middle man has named former Congress President. The ED also told the court that Michel has identified how the Hindustan Aeronautics Limited was removed from the deal and was later offered to Tata instead. The law enforcement agency has also sought a ban on the access of Michel’s lawyer to him alleging that he is being tutored from outside. Michel had been sent to Enforcement Directorate’s custody for seven days on December 22. He was arrested on December 5 after being extradited to India from Dubai. The Rs 3,600 crore AgustaWestland VVIP helicopter deal, finalised during former Prime Minister Manmohan Singh’s tenure, was mired in allegations of kickbacks. 54-year-old Michel is an accused in the case along with former India’s Air Force Chief, Air Marshal SP Tyagi, among others.